Modern living meets cozy ambiance! Genießen Sie einen erlebnisreichen Tag in Ischgl bevor Sie in die Behaglichkeit unseres Hotels zurückkehren! 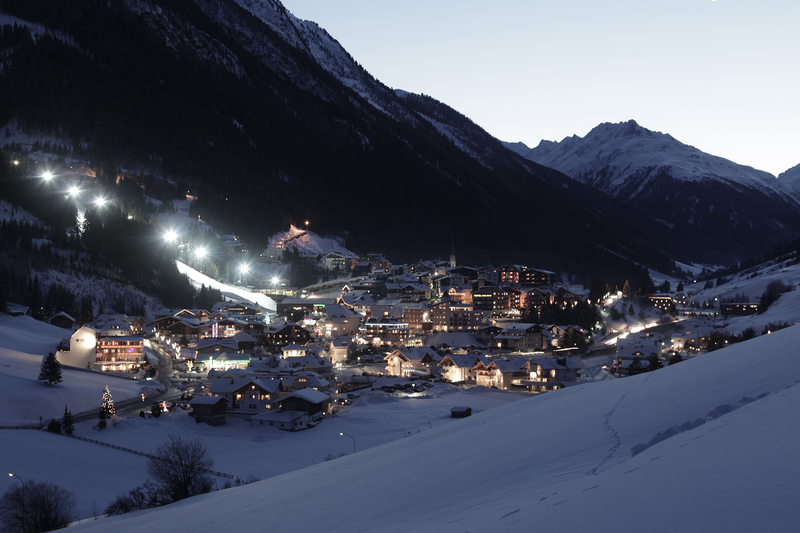 You have the possibility to park yor car in our own parking garage – you won’t need it while making holidays in Ischgl. 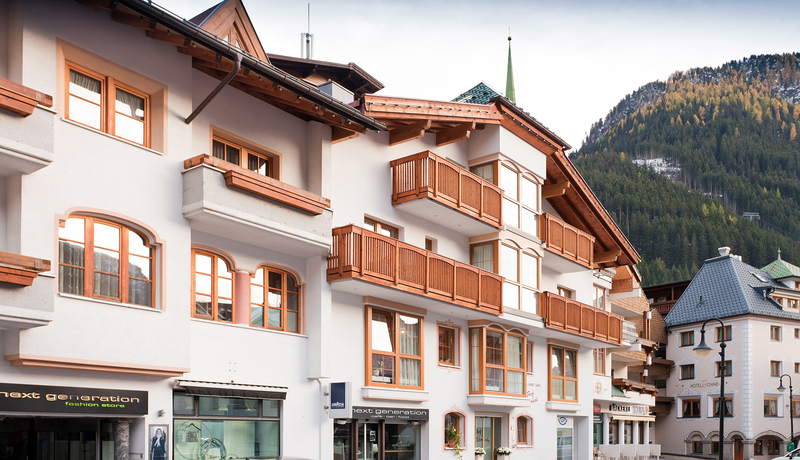 The Hotel Garni Dorfschmiede is located in the center of Ischgl and just a few minutes away from the Silvretta cable car, a prefect location for starting all your leissure activities. After an eventful day, you will return to your comfortable and modern room and enjoy a beautiful view over the mountains of Ischgl. If you won’t miss the independence from home, you are perfectly right in the Hotel Garni Dorfschmmiede. We offer you five modern furnished Apartments – a place to feel comfortable. All our apartments have satellite television, telephone, free WIFI, safe, shower, toilette and sometimes even a balcony. Our guests have the possibility to use our heated ski room and our big terrace. In the morning you will be greeted by a sumptuous breakfast buffet with scrambled eggs or ham, providing you with all the energy you need for the day ahead. Our delicious breakfast buffet offers the right thing for everyone: local products, fresh juices, fruits and many more. 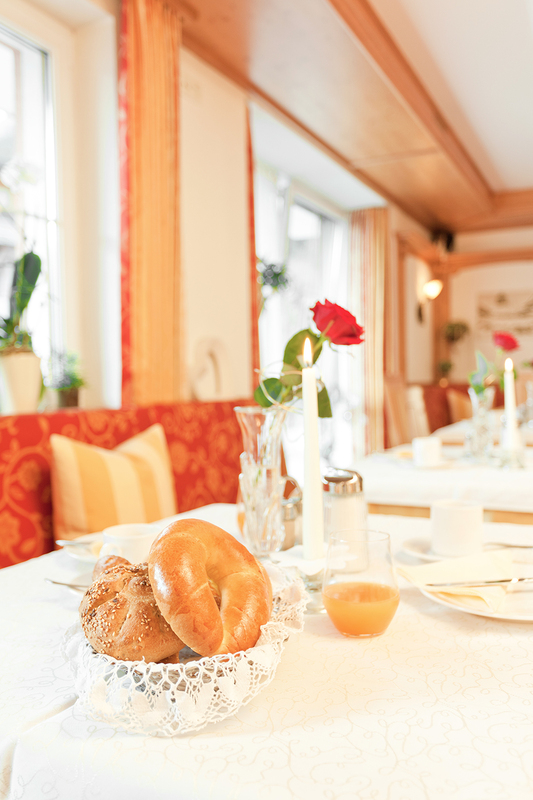 Convince yourself, book your next stay in the Hotel Garni Dorfschmiede and get to know our fantastic breakfast. Every of our twelve rooms offers something special in their own very individual way. The Hotel Garni Dorfschmiede is the perfect example that it is possible to combine high modernity with true warmth and cosiness. All of our rooms are furnished in the typical Tyrolean style and provided with all comforts. In these rooms you won’t forget that you are in the middle of the Tyrolean Alps.